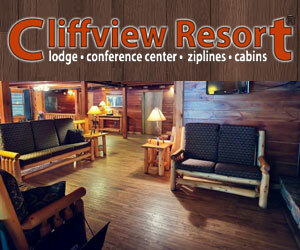 Mountain Life - mission is to celebrate the life, history, culture, and artisans of mountain life. Celebrating the heritage of mountain life. The Got Mountain Life writers hail from all over Appalachia. They have unique, regional insights on the people and places of the Appalachian Mountains, both old and new. Sarah is an outdoor enthusiast who loves to travel in her free time. Originally from Northern Virginia, she moved to the mountains of West Virginia 10 years ago where she fell in love with the Appalachian culture. Sarah is a writer, herbalist, artist, and student who created The Yarrow Path, focusing on holistic health. Greg Chaffins grew up on the banks of the Tug River, in a place gently nestled between the Kentucky and West Virginia border. His grandparents raised their own food and lived off the land, and this is where he gets a lot of his Appalachian knowledge. If you talk to Greg, you’ll find that he believes growing up in the Appalachians gave him an unfair advantage when it comes to problem-solving. Greg is a nerd at heart, having played with electronics since an early age and writing software since personal computers came along. You will often find him writing on his own nerd and financial blogs, but the older he gets, the more he appreciates his roots and likes to share his wonderful Appalachian heritage. Holly Riddle is a freelance travel, food and lifestyle writer. When not covering her favorite topics, she’s probably reading about them. She lives in central Pennsylvania, with her husband and two dogs, where she also covers local food, agriculture and entertainment. Learn more about Holly at hollyriddle.org. David grew up in the mountains of Western North Carolina on a tobacco farm. His ancestors originally came as indentured servants to the Jamestown Colony in Virginia. He first became interested in writing in high school and later became an editor at a publishing company in Texas. 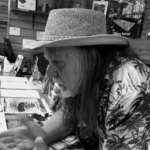 He likes to write about Appalachian mountain culture, history, music, art, and travel. Jerry was born in a holler in rural Whitesburg Kentucky and is now living with his wife Jennifer, in the foothills of the Smoky Mountains in East Tennessee. Through the years, Jerry has lived in ten states and worked at dozens of different trades. While living in South Carolina he became friends with a newspaper columnist who suggested that since he was such a good storyteller, he try his hand at writing. The paper bought the first story, asked for more and, as they say, the rest is history. Since then he has written for magazines, newsletters, web pages, and many newspapers. Jerry’s primary writing subject is the great outdoors and all that encompasses. His outdoor articles are sometimes attributed to his alter ego, ‘Buck Thorn’. Appalachia Jack, or AJ, is a traveler, a true mountain man who has beaten a path from one end of the Appalachian Trail to the other. He was born in the foothills of West Virginia but has been in every nook and cranny of the mountains he calls home. 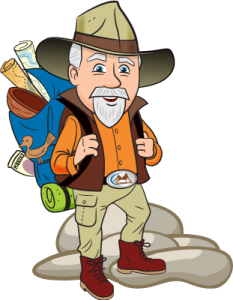 Never weary and always looking for a new adventure, AJ has found more hidden gems than a mountain prospector. From artisans and handcrafters to scenic views and rich history, he’s seen it all, and he’s ready to share it with you! AJ believes that the Appalachian region holds some of the most beautiful views, the most colorful histories, and the richest cultures the world has to offer. He’s always open to new exploits and experiences; that’s what’s brought him so far! All AJ needs is what he can carry in his pack and a sense of adventure, but he loves finding new things along the way. As a mountain man, AJ’s not afraid to spend a night under the gorgeous mountain night sky… but that doesn’t mean he doesn’t appreciate a comfy bed. Of course, AJ’s seen it all, so no run of the mill chain hotel will do; he doesn’t think you should settle either! 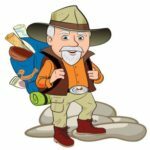 That’s why he reviews the most unique lodging, including mountain cabins, bed and breakfasts, hostels, and inns! Jenn hails from the mountains of Alabama and offers over 20 years of writing experience in a number of publications and websites. She went to Jefferson Community College, majored in Psychology and journalism with electives in creative writing. She’s returning to college in 2019 to pick up digital media to further hone her skills. Emma Taylor hails from a small goat farm outside of Morgantown, WV. She grew up learning homesteading, exploring the mountains, and absorbing her family’s Appalachian heritage. An avid outdoors enthusiast, you can usually find her traveling through West Virginia, on her stand-up paddleboard, foraging for dinner, or climbing a mountain. Emma lives on a hill just outside of Pittsburgh, PA, with her husband and two dogs. You can follow her adventures and experiments on Instagram. Allison grew up in Virginia and has always had a love for the outdoors. She graduated with a journalism degree from Virginia Tech. When she is not behind her computer writing, she enjoys spending time traveling and exploring with her husband, daughter, two dogs, and two cats.